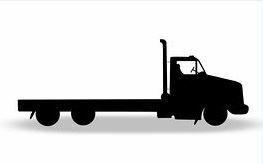 Van, Flatbed and Reefer trucks are more readily available since demand has drastically dropped. Since Hurricane Michael destructive damage we have seen an all time low in volumes of freight last week. Load to truck ratio have dropped leading to national rates of all three truck types to drop. As we continue into the last quarter of the year we expect volume to increase. As always, please reach out to me at ray.mcdonald@insurelogistic.com with any questions you may have.